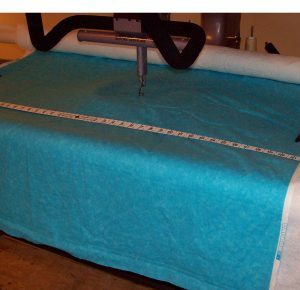 When it comes to buying a longarm, there is more to the equation that simply deciding how much to spend. 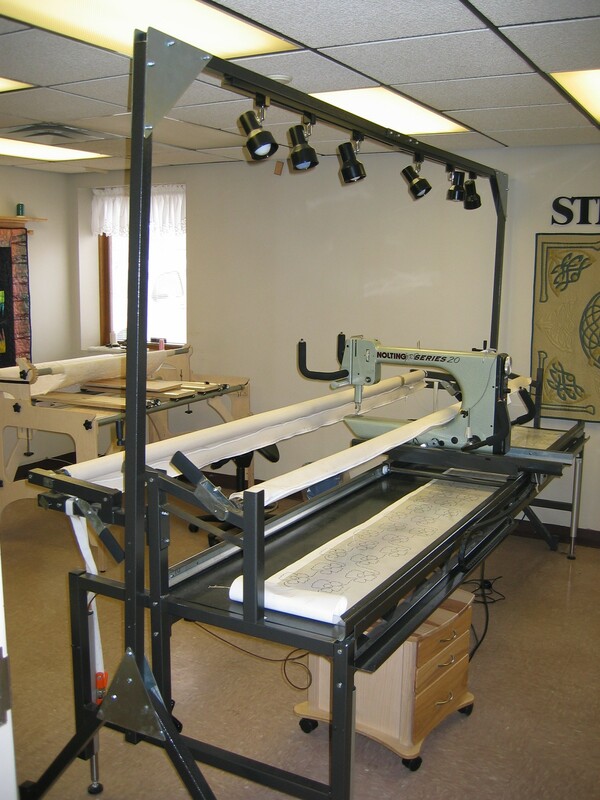 Purchasing a longarm is a big decision and often a large financial decision. 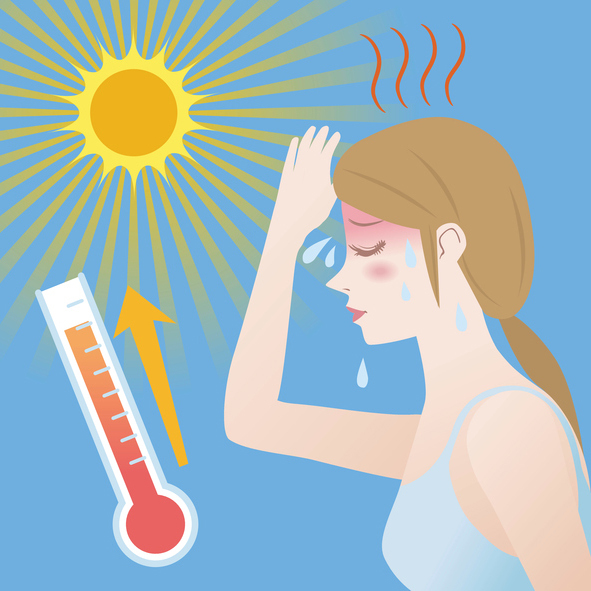 As a result, it is important to know what is important to avoid these common mistakes. As a Nolting Longarm dealer, I have helped many quilters by providing accurate information about longarm machines and frames. Many of these were making a longarm purchase for the first time. Others, however, very disappointed with their first longarm purchase, were trying to make the right decision this time. 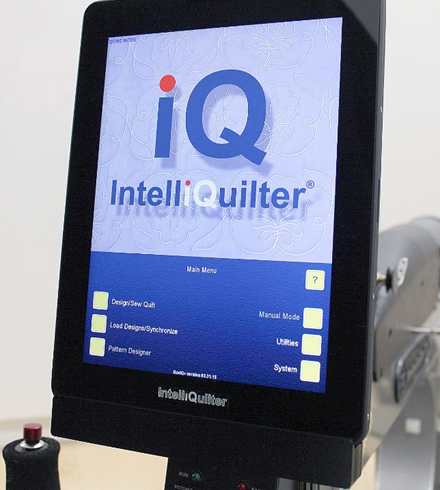 Common problems these quilters experienced were too short a throat, machine did not perform as expected, machine constantly had tension issues, company tech was not responsive, frame flimsy with rollers that distorted (bent), and more. Mistake #1 Purchasing a “longarm” that has a throat that is too short. More than once, I have worked with a very disappointed “longarm” owner. They had purchased a longarm that didn’t really meet their needs. In fact, many “longarm” owners really own a short arm machine, aka a home machine on a frame with a throat length less that 12 inches. They had grand thoughts of quilting wonderful pantos and block patterns, but very soon after their purchase realized that they only had about 5-7 inches of quilting space. It was far less than what is needed to quilt a standard size block or even an ordinary panto. Every longarm system is set up the same way. 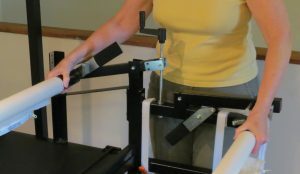 There is a roller called the take-up roller that goes through the arm of the machine and is over top of the throat (see photo below). This roller must be placed in this location, but takes up valuable quilting space. 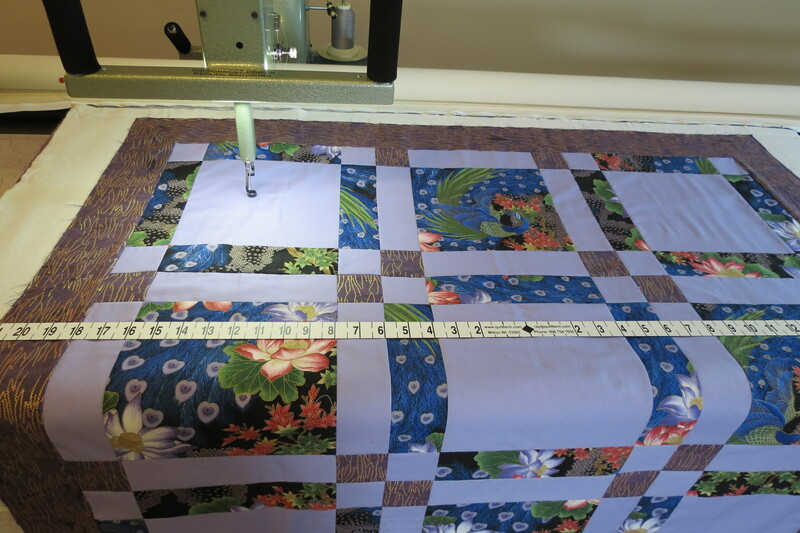 As a result, when considering any longarm, subtract at least 5″ from the throat length to determine the amount of quilting space actually available. 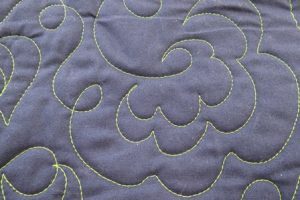 If the throat is 12″, the quilting space is only about seven inches. 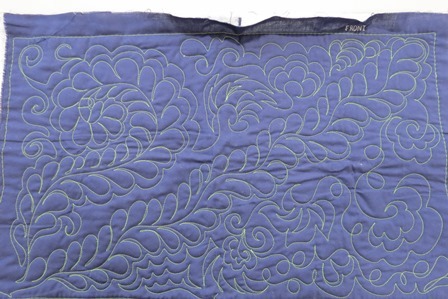 If the throat is 24″ long, the quilting space is about 19 inches. Measure from needle to inside of arm. 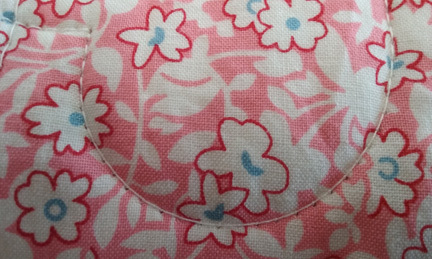 Subtract 5″ for size of quilting area. How much space do you need? 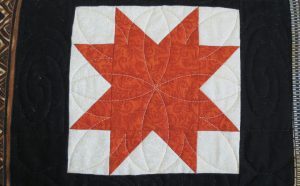 Most quilts have twelve inch blocks. To quilt the block as one unit without having to advance the quilt, it is necessary to have a little more than twelve inches of space. If the twelve inch block is turned on-point, it takes at least eighteen inches of space to quilt the on-point block as one unit. Avoid this mistake by purchasing a “longarm” with a minimum throat of at least 17″ to 18″ and is called a mid-arm machine. The longer the throat the better to provide adequate space to quilt normal size blocks and pantographs that are 9″ to 13″ wide. 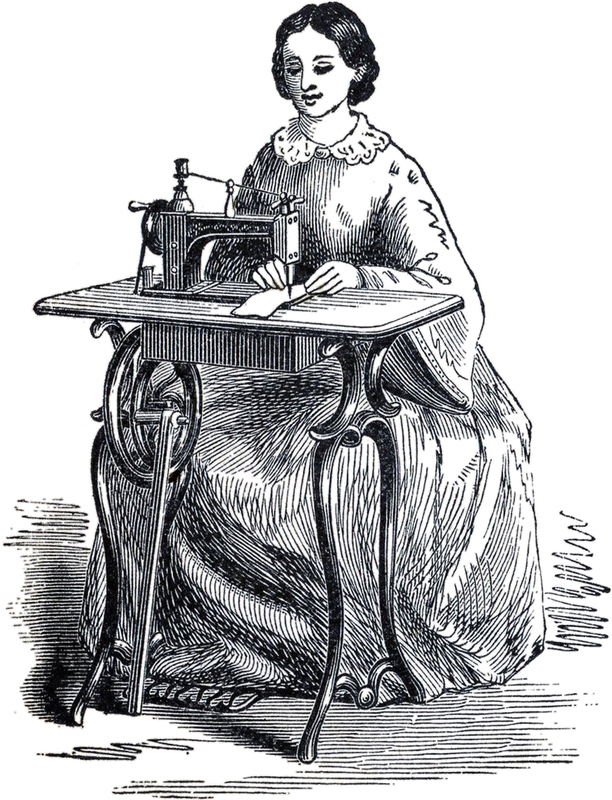 A quilting machine is called a longarm when the throat is 18′ or longer. Mistake #2 Purchasing a frame that is not long enough for the quilt width. Cost effective (Inexpensive) “longarm” systems are usually sold with a ten foot frame, sometimes wood, sometimes metal. 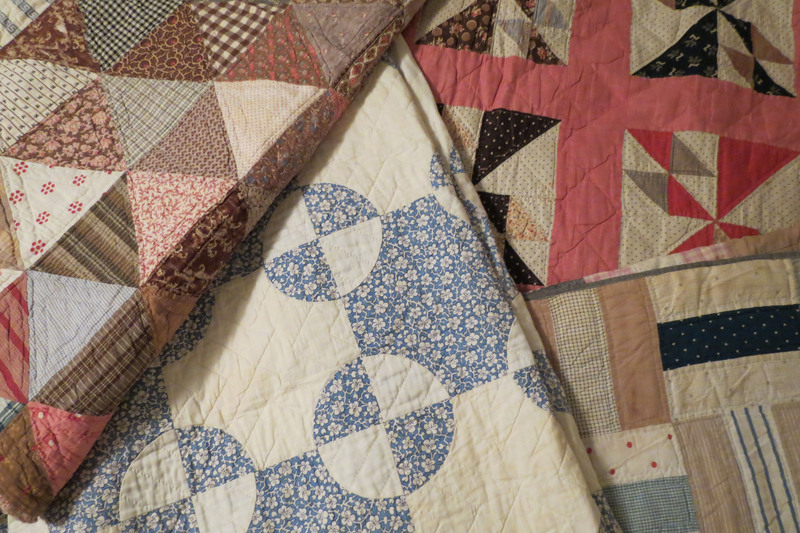 Quilts are often large. 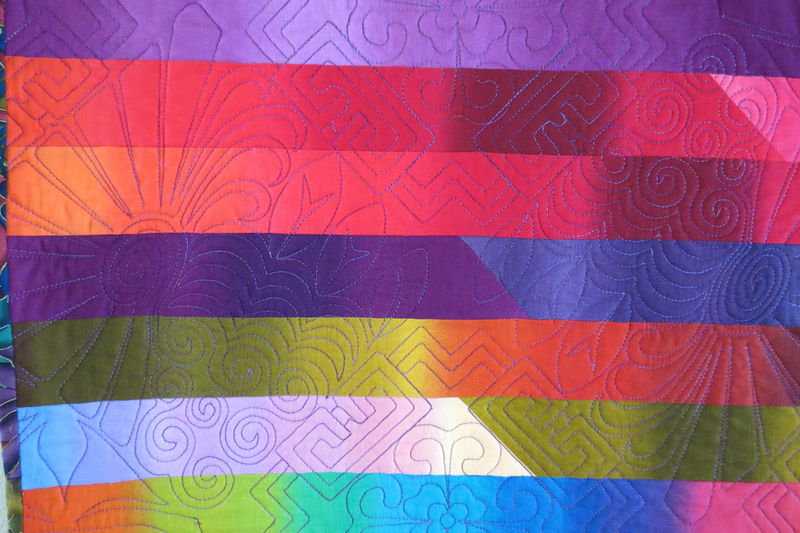 A typical queen size quilt is around 90″ x 100″. To quilt a queen, you need at least a ten foot long frame. If you quilt a super queen or king, a twelve foot frame is necessary. And, even though the frame may be ten feel long, you are not able to use all ten feet for quilting. 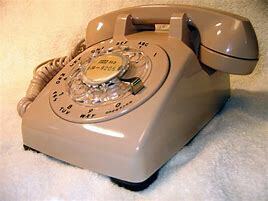 The machine is on a carriage which is typically ten inches wide or wider. 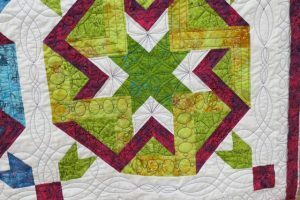 Taking this into consideration, you need to subtract about about one foot from the length of any frame to determine the actual quilting space. Nolting machine and carriage on Nolting frame. In addition, the backing and batting needs to be a total of eight to ten inches wider than the quilt top to attach the side stabilizing clamps to. This extra space is necessary to keep the throat of the machine from bumping into the clamps during quilting. 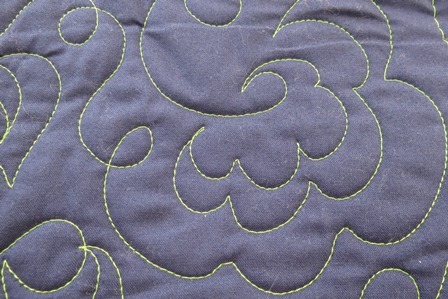 As a result, a few more inches are lost from the actual quilting space. 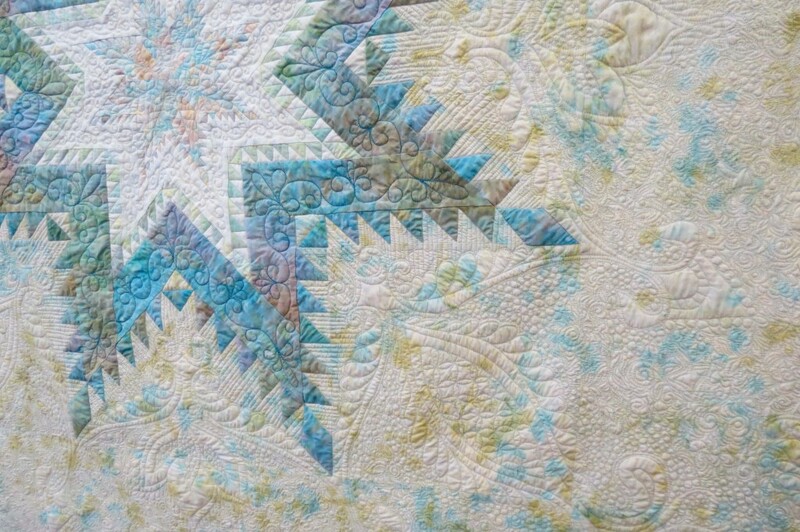 Notice batting and backing extending beyond the sides of the quilt. About 4 to 5 inches extra on each side. A twelve foot frame is 144 inches long (outside measurements). Subtract four inches for the ends of the frame plus twelve inches lost due to carriage width and you only have 128 inches for loading the quilt sandwich. King quilts are about 120 inches wide (only 8 inches to spare). Do the same math for a ten foot frame. 120″ minus 4″ for the frame ends and 12″ for the carriage leaves 106 inches for the quilt, just enough extra space to load a queen quilt. Avoid this mistake by knowing how long a frame you need to quilt the quilts you are making, or will be taking in if you plan on a longarm business. Mistake #3 Buying a frame that is flimsy or poorly constructed. I realize that others may not have the same background as I do in recognizing a well built frame. 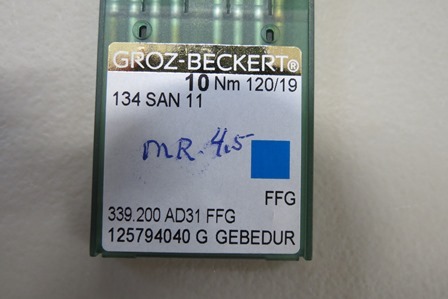 However, there are a few little tests anyone can do, along with a few questions to ask to determine the quality and strength of any frame. Longarm frames are not all created equal. 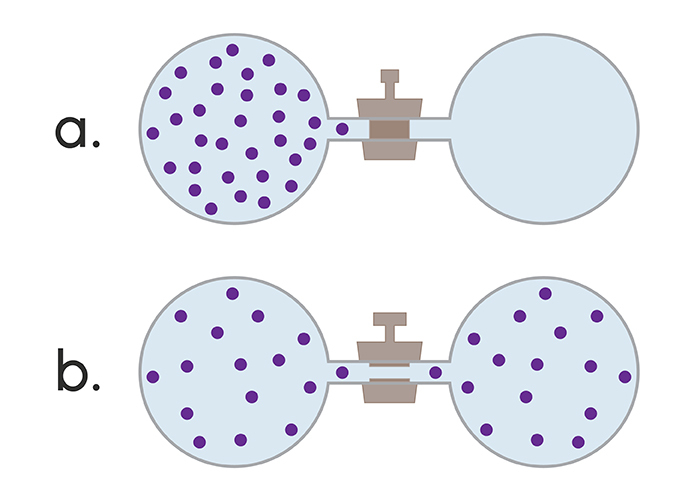 In fact, there are big differences in the construction of frames. Besides the physical length of the frame, take a good look at the construction of the frame. Is it sturdy, or does it wobble or move if you try shaking the ends or rollers? 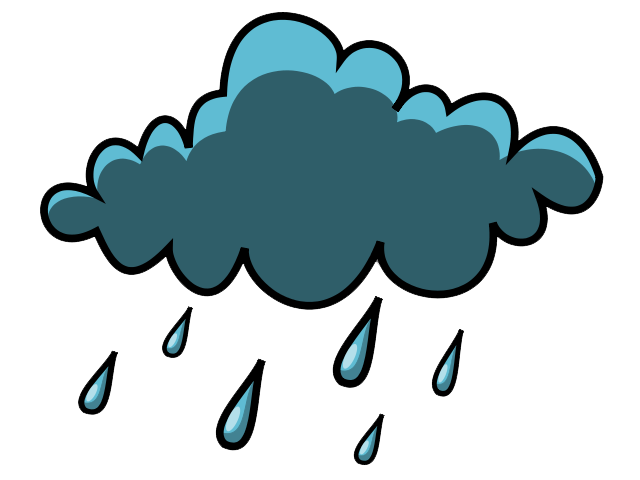 Can you lean on it without it tipping over or caving in? Does it need a center support or is it clear span from one end to the other (clear span is an indication of better design)? Are the rollers sturdy, or do they bend easily? Is the frame height adjustable? 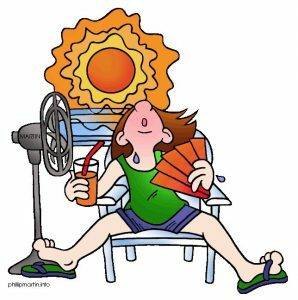 Find out how it is adjusted and how high or low it will go. Remember that any frame with a center post is much more difficult to adjust to make it level or change the height. 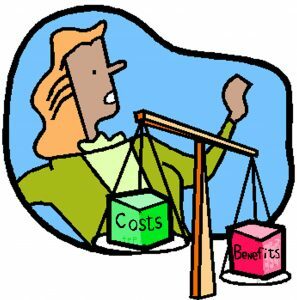 Are leaders included with the purchase and what kind of material are they made of? Thicker canvas leaders are best as they do not stretch and retain their shape for many years. If you decide to trade in the machine for a newer, larger model, will it work on the current frame? Will this frame work if I decide to add a computer guided system? Avoid this mistake by purchasing a frame that is solidly build, preferably out of steel, without a center post, and one that can be used in the future as you upgrade machines or add a computer guided system. I often tell customers, invest in a really good frame and, if necessary, buy an entry level machine with the idea of trading up later on. A really good frame is like the “good bones” of a well built house. Putting a top of the line machine on a poor quality frame will not produce top quality quilting. 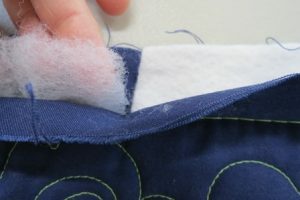 Frames that wiggle and jiggle, have rollers that bend and bulky plastic gears will not adequately support the quilt or machine and will compromise the quilting results. 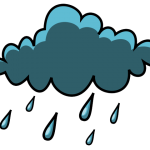 Mistake #4 Purchasing a machine that requires regular dealer or factory servicing or is hard to take care of. 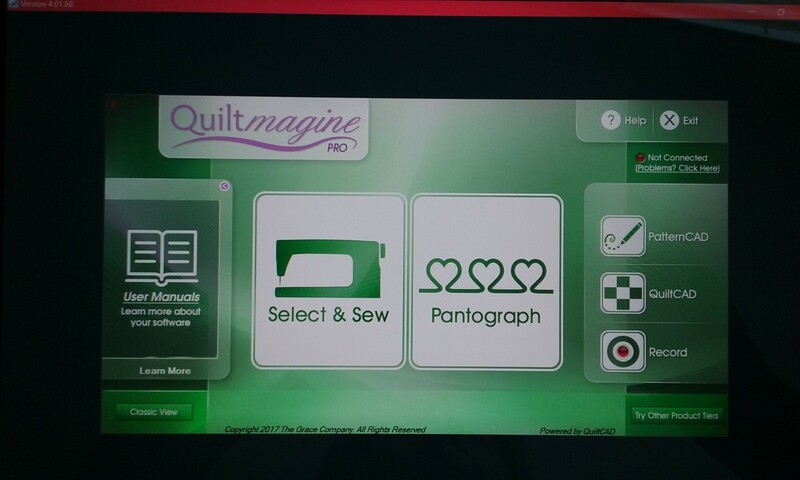 Several years ago when we were looking for a longarm we attended a large quilt show where we were able to check out all of the major longarm brands. We had a list of questions that we asked each manufacturer. Because my husband’s career was machining, fabrication, and machine maintenance (among other things), he wanted to know how much maintenance the longarm would require. We learned a lot about the various brands with this one question, “What kind of maintenance is required by the owner or dealer.” We discovered that some machines required a diaper to catch oil dripping from the machine, another machine had to go back to the dealer or factory every year for service, and another had to be split in half and packed with grease every six months. 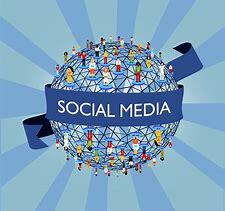 We felt that none of this had any place around my quilts and steered clear of these brands. 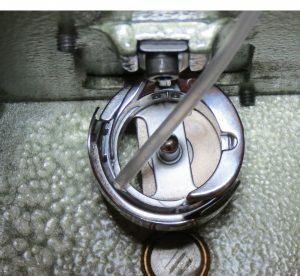 We selected Nolting which never needs to go to a dealer or factory for regular service, and is very simple for the owner to take care of with only four spots to place one drop of oil every eight hours of quilting. What could be easier than this? We did learn that the bobbin hook area on all brands does need oil every two or three bobbins. Some bobbin areas were a little harder to access than we found on the Nolting. Oiling the Nolting bobbin hook area. Open access area. 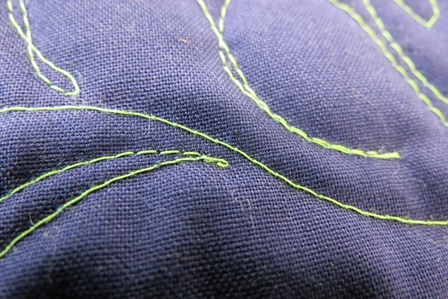 Very easy to maintain Nolting longarm with four oil wicks. That’s it! 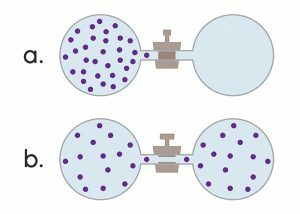 Avoid this mistake by choosing a longarm brand that is easy to maintain and won’t present a problem with stray oil or grease. Mistake #5 Purchasing a longarm system that you have to set up yourself. 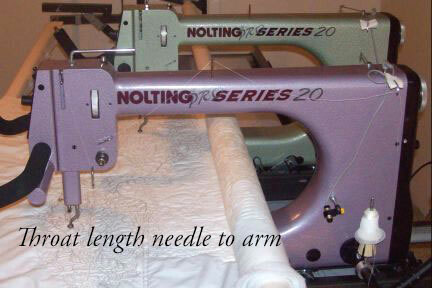 A longarm system is not quite like a “plug and play” device. Sometimes even those need more expertise to install properly. A longarm system includes an over sized sewing machine on a carriage which is on a frame. This is precision equipment and requires adjustments to make sure they will work best. 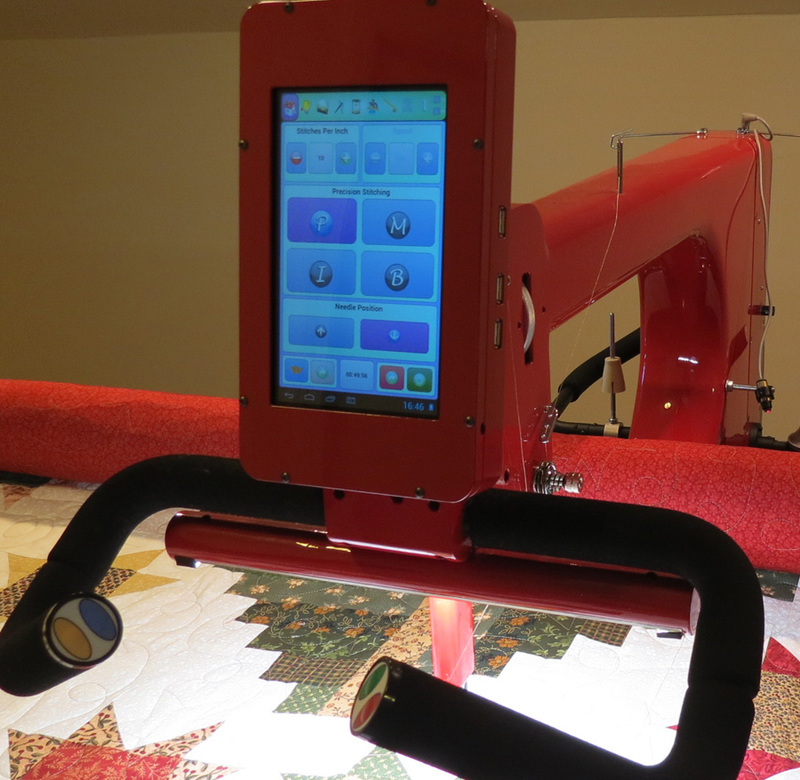 The frame needs to be level, the machine axles might need adjustment to make sure there is correct contact with the track as well as other adjustments to fine tune the setup for optimum quilting. You may think you are saving money by installing your longarm system yourself, however, dealers are experienced in setup and adjustment and have learned through dealer training and experience how to fine tune a system. 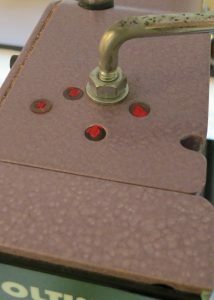 Avoid this mistake by purchasing from a dealer and have the dealer install the longarm system. I realize that some quilters live in very remote areas, or in countries where there is no dealer and may have no option except to set up the longarm system on their own. My advice for them would be to be even more carefully to choose a longarm machine that doesn’t require regular service and does have excellent, responsive factory tech support. My experience with Nolting is that they fit this description perfectly. Although the photos are of Nolting machines, deciding on which longarm to purchase is really answering a series of questions about what you really need. If you purchase a shorter throat machine or a shorter frame than you really need, you are compromising and may soon be disappointed with your purchase. Who will trouble shoot and help when there is a problem? Who will train you to use the longarm? Listen to what other longarm owners are saying about their system. Are they happy with it? Have they had problems and if so, how was it resolved? Did the machine and frame perform as they had expected or were there problems? Did they wish they had made another choice? 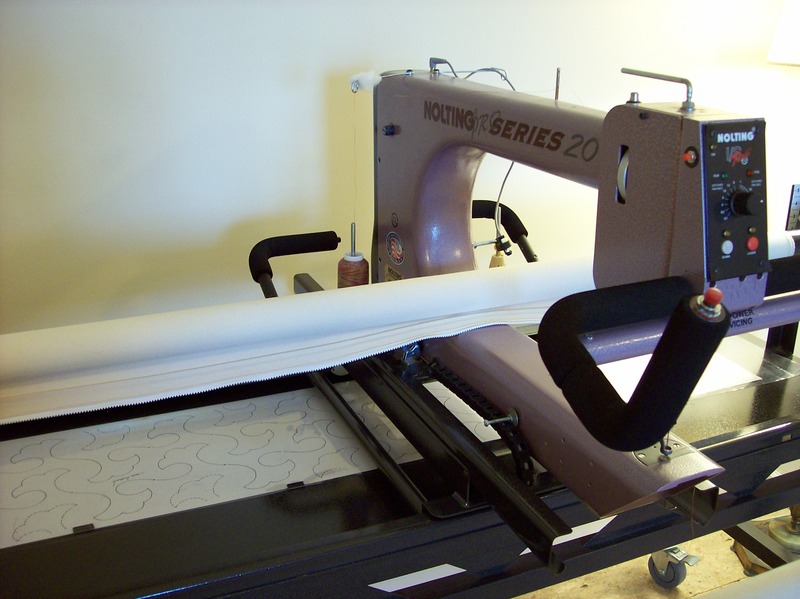 Listen to what other longarm owners are saying about their longarm company and dealer. Positive or negative comments? 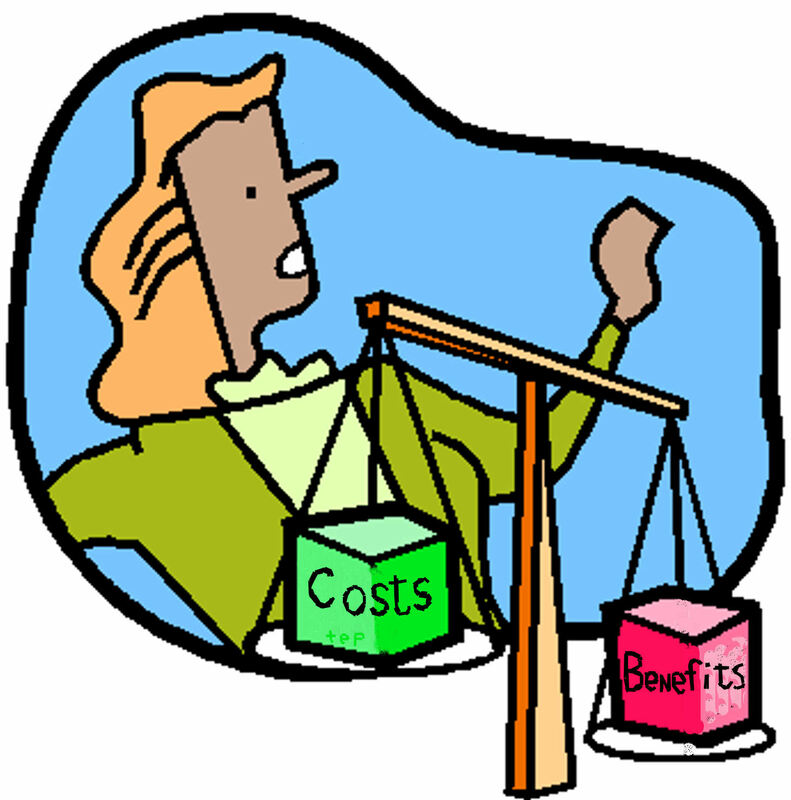 Although the cost of a longarm is a consideration, I have purposely not included that in this discussion. Unfortunately I have seen many longarm owners spend too much on an inferior system that really didn’t meet their needs. Instead of an emotional longarm purchase decision, they should have started with these five “determine” thoughts that could have saved them money along with the regrets of a poor purchase. 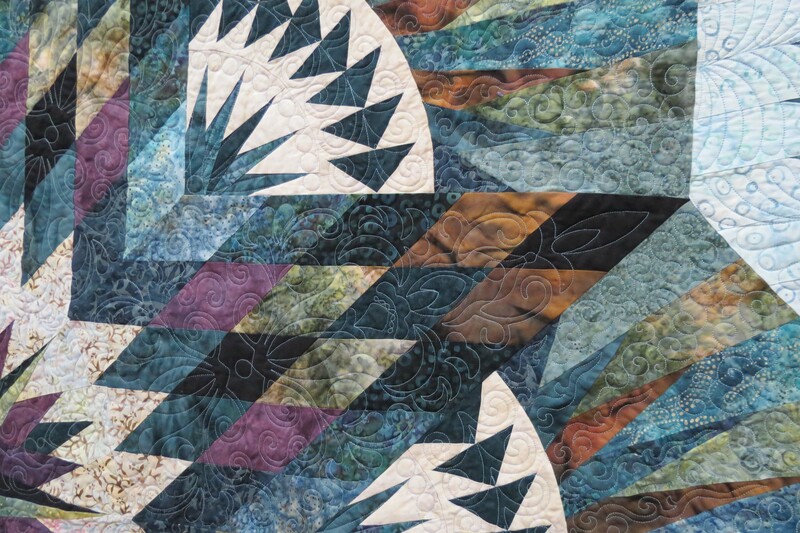 Determine the throat length needed for the blocks and pantos you plan to quilt. 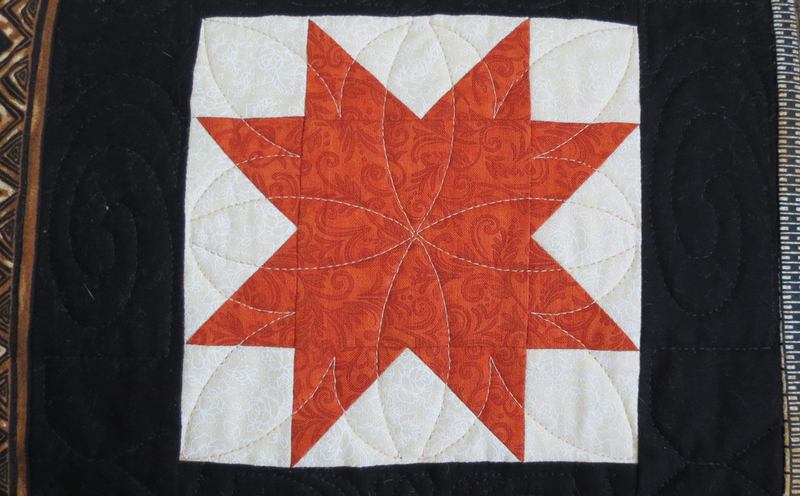 Determine the frame length needed for the size quilts you plan to quilt. 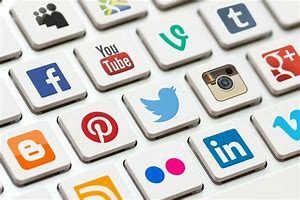 Determine to purchase a frame that is strong, sturdy, can be used if/when you upgrade the machine or add a computer guided system, and that comes with everything needed, such as high quality leaders. Determine to purchase a machine that is easy to take care of without needing regular dealer or factory services. Determine to purchase from a dealer that will set up the system and train you in how to use it. Once you have made these determinations, know your budget and start sifting through the longarm brands to find what matches your criteria for purchase. 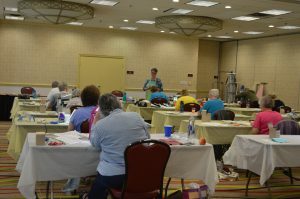 Start your research on line, ask other longarm owners the questions above, and go to large and small shows to try different makes and models and ask many questions (above suggestions). Don’t compromise and settle for less than you really need. You might be surprised to find that you decide to purchase something different than you originally thought, but your decision will be made starting with a search for what you really need and what is right for you.